1. Determine why you are selling, and then keep it to yourself. This will dictate your decisions on several factors — from the selling price to how much time and effort you invest in getting your home ready. “Less time on the market” OR “more money to walk away with” are different goals and require different strategies. Don’t reveal why you are leaving to potential buyers or their agents since that information can be used against you at the negotiating table. When asked, simply say your housing needs have changed. Once you’ve set your offer price, you’ve told buyers the absolute maximum they have to pay for your home. Pricing too high is just as costly as pricing too low! You want your home to compare favorably to others in the same price range in your neighborhood or you won’t be taken seriously by buyers and agents. An overpriced home can be branded as it sits on the market and new buyers think there must be something wrong with it. 3. Do a comparative market analysis. (In fact, your agent should do this for you). Find out what homes in your own and similar neighborhoods have sold for in the past 6-12 months and research what current homes are listed for. That’s how your prospective buyer and their appraiser will assess the worth of your home. Appearance is critical from day one on the market so don’t overlook how first impressions can set the tone and emotional feel of your home. You may not be able to change your location or floor plan but you can do a lot to improve your home’s appearance. Buying a home tugs at buyers’ emotions and they want to imagine themselves living in your home. Clean, unclutter, scrub, dust, paint if necessary to give your home the WOW factor top to bottom! 5. Don’t move out before you sell. A vacant home looks forlorn and forgotten, and just not very appealing. If you can, stay in your home. If you do move before you sell, it tells buyers that you are probably highly motivated to sell quickly and that gives them an advantage when negotiating price. This is THE most important part of selling your home quickly and profitably. 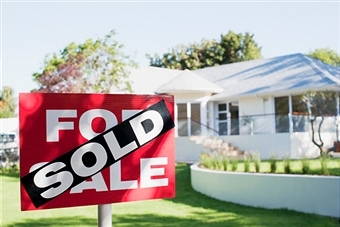 What kind of buyer will likely purchase your home? That information will help you stage your home in a way that speaks to how the buyer will live in your home. What is the buyer’s motivation? Does he or she need to move quickly? Does he or she have enough money for the asking price? Knowing this information gives you an advantage in the negotiation process since you want to control the pace of the back and forth between yourself and the buyer.